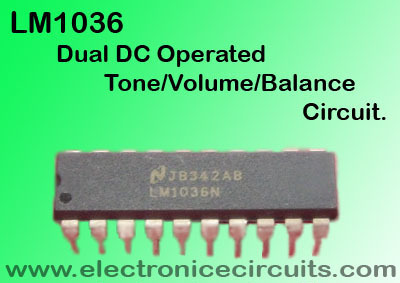 The LM1036 is a DC controlled tone (bass/treble), volume and balance circuit for stereo applications in car radio, TV and audio systems. 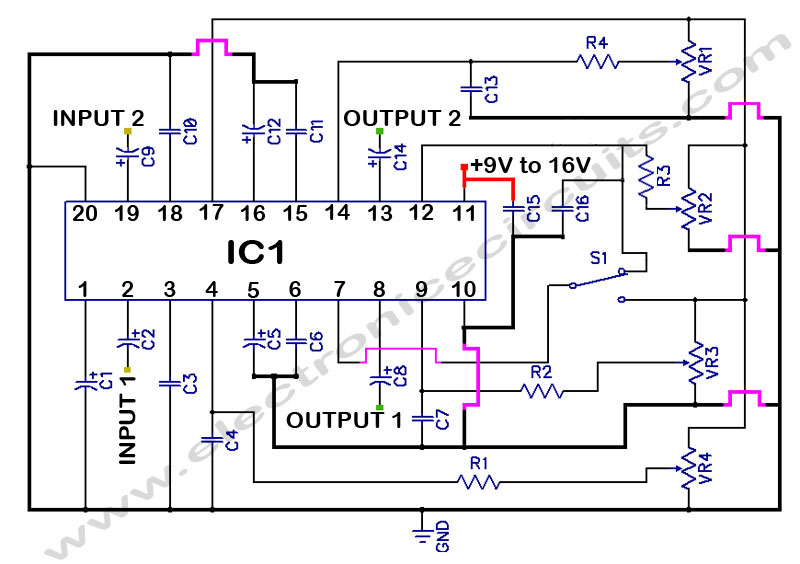 This stereo tone controller circuit uses mono controller to controlling tone. 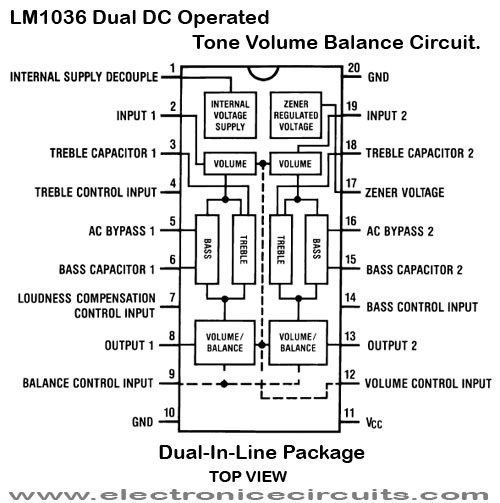 Each tone response is defined by a single capacitor chosen to give the desired characteristic. By changing the values of capacitor connected to tone controlling unit, you can control bass and treble levels. pin 3 and pin 18 of IC are for treble and pin 6 and pin 15 for bass. Is there a PCB layout available for this circuit? 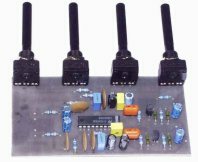 can you please sujjest an audio processor that can be controlled by micro controller? pins: 3; 18; 6 & 15 . but i’m not satisfy because the voice is not prefect . i want to change them for better sound ,if not i’ll try for tda .